After a meeting in February between senior administrators and student advocates over its investment practices, the University is depositing a total of $1 million into four community banks, a move that promises to benefit local businesses and homeowners. Hyde Park Bank, Urban Partnership Bank, Seaway Bank and Trust Company, and Illinois Service Federal Bank each will receive $250,000 from the University’s operational budget, the highest amount that the Federal Deposit Insurance Corporation will insure on non–interest-bearing accounts. Unlike investments, which are expected to produce revenue over time, these deposits represent “a practical and responsible solution in furthering the University’s commitment to Hyde Park and the surrounding communities,” according to a statement from Assistant Vice President of Student Life Eleanor Daugherty and other administrators. Daugherty was among several senior administrators who met with four students about the University’s investments. Engagement with community banks was raised as an issue. “The money that the University ultimately has decided to transfer to these institutions will make it easier for them to give out loans of this nature—mortgages, loans to small businesses—in the South Side of Chicago,” fourth-year Eliot Abrams, one of the students at the meeting, said. Although the move is not a first for the University—it previously has deposited $100,000 in Urban Partnership Bank—administrators considered the possibility of stepping up its efforts after they were approached by Abrams and three others in the fall. Originally, Abrams and fourth-year Nakul Singh, who both serve on the Senior Class Gift Committee, suggested that the Class of 2012’s gift be a deposit into a community bank. Although the committee supported the idea, it seemed unfeasible at the time, prompting Abrams and the others to consider a University deposit. At the end of winter quarter Daugherty, along with Chief Financial Officer Nim Chinniah, Vice President of Community and Civic Engagement Derek Douglas, Treasurer Lorraine Arvin, and Associate Vice President of Finance John Kro, met with the four students and began researching their proposals. “We presented a list of four community banks as the idea of the types of institutions that we felt the University should move some funds to, and laid out an argument as to why it would be beneficial to different groups that have a stake in the University for the University to put some funds into these banks,” Abrams said. Administrators then investigated the University’s own banking needs, which typically are far larger than any smaller institution can handle, and weighed them against each bank’s ability to support its community. “[The deposits] will help fund loans and other products and services to people in underserved and often neglected groups, whether it be a job training program or an after-school program,” said Brian Berg, Senior Vice President and Director of Corporate Communications at Urban Partnership Bank. Norman Williams, chairman of the board and chief executive officer of Illinois Service Federal Savings and Loans, said that the deposits will allow small businesses, churches, and families to take out loans that would normally have been difficult for them to acquire. Fourth-year and deposit advocate Caitlin Kearney believes that this approach at community outreach also allows the University to help the community without being invasive or interfering. The benefits of U of C depositing in community banks are not limited to economic growth in the community, according to Kearney. “We see this process not only as the University transferring funds to community banks, but building a deeper relationship with the South Side banking structure, the city of Chicago as a whole, appeasing alumni who would like the University to be doing good public deeds, and appeasing students who would like the University to be using their money in a socially conscious manner,” she said. 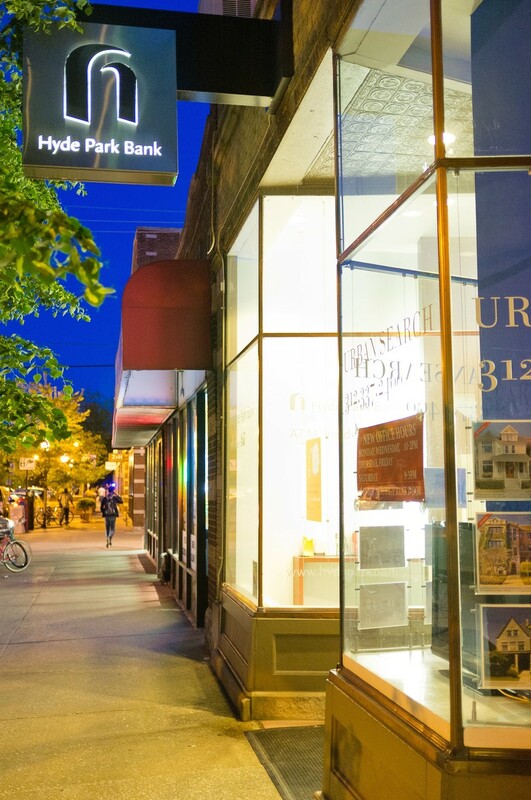 The University will join the ranks of other academic institutions, such as Harvard University, Macalester College, Duke University, and Seattle University, that have used the local banks in their community.